We have found after testing many different solvents that Loctite Activator works very well for removing LCD screensaver film residue in most Instances. 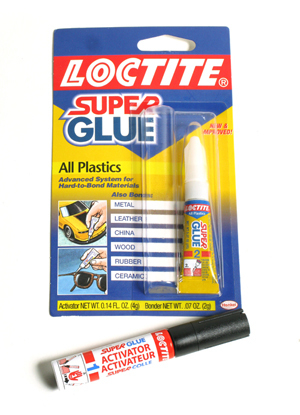 ** Activator comes with all Loctite Super Glue kits and is relatively inexpensive and cost-effective for removing residue. The activator's primary purpose as a solvent is to clean and prepare the surfaces before bonding with super glue. The kit can be found in most hardware, automotive and some supermarkets. It's also handy to have around the house for bonding jobs so this would not be a single-purpose purchase. Plastic LCD view screens consist of various chemical composites and are not created equal. **We do not guarantee that the activator will not damage your view screen so carefully follow this procedure. Start with a well lighted work area. 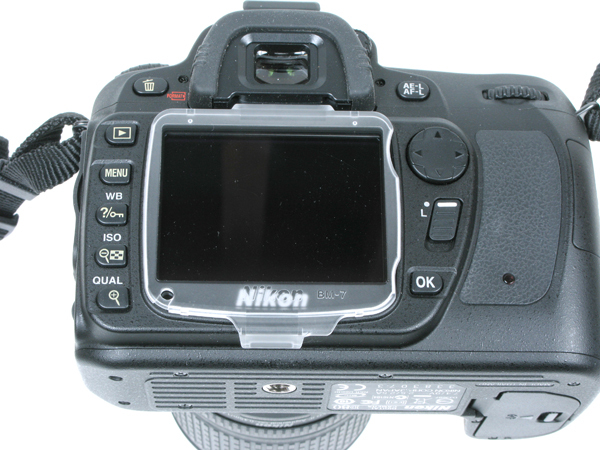 Place the camera body on a soft cloth to prevent surface scratching or marring. Cover the margins around the LCD screen with masking tape in case you overshoot the edge of the viewing screen while cleaning. First test the activator in a very small portion of the lower right-hand corner of your LCD view screen. Do not touch any other portion of the camera body with the activator to prevent possible surface damage. Proceed slowly once you have determined that the activator is removing the old residue and is not causing any damage to the plastic view screen surface. 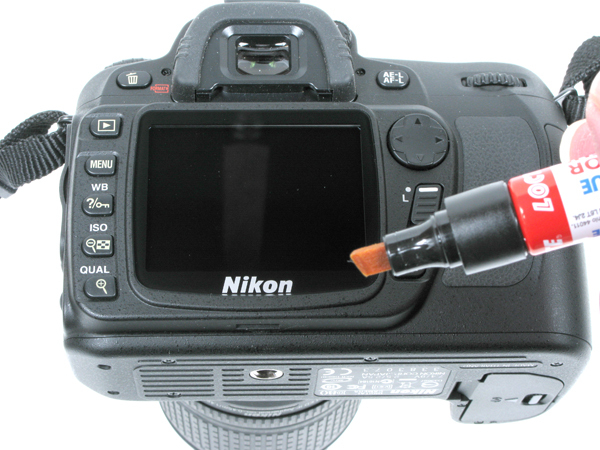 Do not shake the activator tube or it will drip all over your camera and work areas. Slowly work from right-to-left or vice versa gently scrubbing with the felt activator tip and wiping the resulting residue from the view screen using a soft microfiber cloth to prevent scratching. Deep pile microfiber cloths work well for this application. Apply lens cleaner to a clean microfiber cloth and wipe any remaining haze from the view screen once you have removed all of the residue. As always follow the above procedure carefully before proceeding on your camera body. Please let us know if you have had any success on your particular make and model and we will be happy to post the results here for others to reference. Thank you.